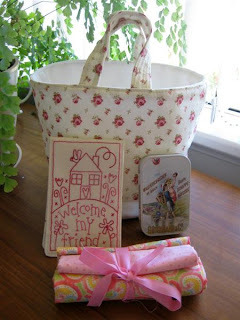 Lurline's Place: A Lovely Surprise! Oh my goodness, now that is a goodie bag, two fat quarters indeed!! How sweet and pretty, you are very lucky. A very beautiful surprise Lurline! What a lovely surprise from Chooky Lurline. She s such a sweetie isn't she. I hope Maree does this swap next year also a I was a bit slow to join this year. Great gifts. I received surprises in the mail also today. That is all just so sweet. 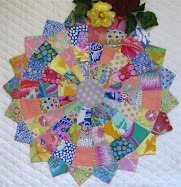 Amazing how two fat quarters just becomes something more! Lucky you. Lucky,lucky Lurline! A bit of Nundle just for you...Chooky is a generous girl! Lucky you.......I wish I had a package too....enjoy them! 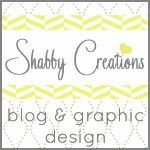 I added a new blog on QuiltedBerries today, would like to visit? What a lovely Birthday surprise. Chooky is a sweet heart isn't she. Fun stuff Lurline! Chooky is so nice! The two of you deserve each other! Oh that was so sweet, LOVE that little basket! never have enough needle cases, redwork is beautiful...I just love anything with houses on it. Luck girl. So spoilt but deserving. Well done. And how nice is chooky. What a sweet gift! I especially love the little redwork stitchery. What wonderful gifts from Donna!!! Lovely Lurline! I am really enjoying Maree's swap too. I've had my birthday, which was lovely, but I am really enjoying the sending too. It's cool getting to know someone so that you can pick out fabric for them! Great goodies the postman delivered. The basket is gorgeous. You sure have been showered with gifts lately, haven't you. That's because you're such a special person!